Made from untreated, fresh and juicy oranges. These fully ripe, sweet fruits are carefully treated to become a full-bodied and tasty jam. Only the sweet tasting oranges are being used in order to give the jam a sweet, rather than a bitter taste. 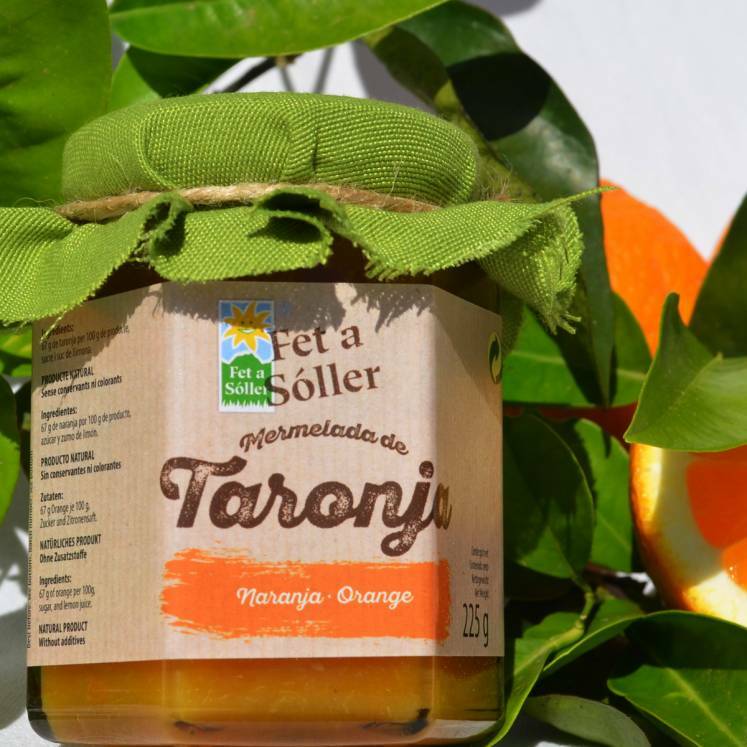 oranges from Sóller, 63 g of fruit per 100 g, 60% sugar, lemon juice. Without artificial colourants or preservatives. Can contain traces of dried fruit.